There are no upcoming dates for this webinar. CounterPath Bria Stretto is a provisionable, cloud managed softphone which allows you to manage all of your Bria Stretto softphone clients from a secure centralised server. With just a single click you can edit any setting on the Stretto platform and apply it to your selected Bria clients. 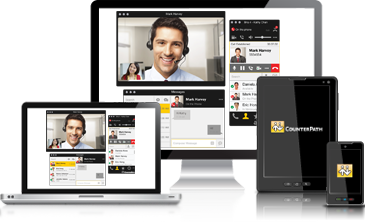 CounterPath's Bria softphone clients offer a range of additional features including branded support. Branded support enables you to work with CounterPath to create your own customised service, this can include the incorporation of your company logo or building a branded portal for your customers to download. Join us on Wednesday 27th July at 11:00 am when we will be joined by Dave Watkin and Matt Rogers from CounterPath to learn more about CounterPath's branding options plus much more. This webinar is a great opportunity to learn more about the CounterPath Bria Stretto Range, approximate run time will be 45 minutes.